Liz Arch is an acclaimed yoga teacher, martial artist, and the creator of Primal Yoga, a dynamic fusion of yoga and martial arts focused on empowerment and self-healing. She is a certified Domestic Violence Counselor Advocate and currently serves as the West Coast director of the nonprofit organization Purple Dot Yoga Project, which uses yoga as a healing tool to help individuals overcome the trauma of domestic violence. Liz has a diverse background in several different martial arts styles including traditional Northern-style Kung Fu, Yang-style Tai Chi, Self-Healing Qigong, and Brazilian Jiu-Jitsu. She holds multiple yoga certifications and is trained in trauma-informed yoga and breathwork for trauma release. She is also trained in plant-based nutrition from Cornell's T. Collin Campbell Center for Nutrition Studies. 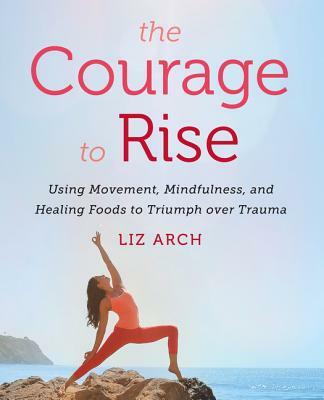 Liz has appeared on the covers of international magazines including Yoga Journal, Om Yoga Magazine, Yoga Life Magazine, and Yoga & Wellness Magazine, and leads transformative teacher trainings, workshops, and retreats around the world.